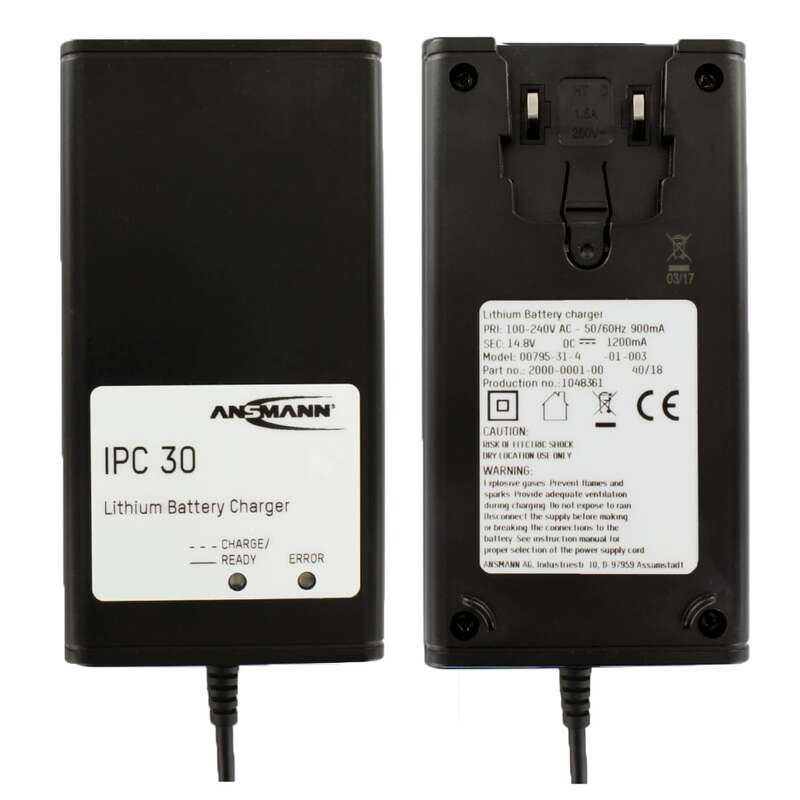 This Ansmann 14.8V 1.2A Lithium-Ion Battery Charger is the perfect match for any of your Ansmann 14.8V Lithium-Ion battery packs. 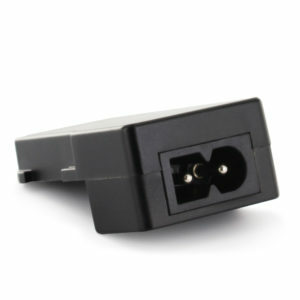 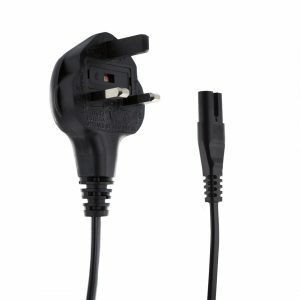 In order to keep our product price competitive and to avoid our customers purchasing items they do not require, we tailor our Ansmann chargers so that you can simply only purchase the input and output accessories you need. 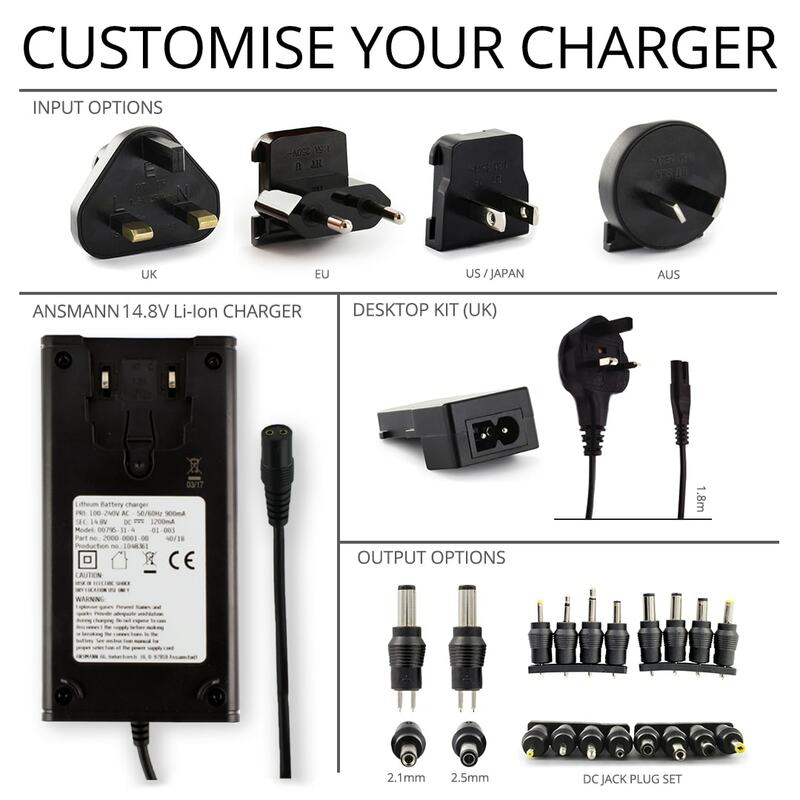 For input options, you have a choice of interchangeable UK, EU, US / Japan and AUS plugs, as well as the option of a desktop kit, which will allow you to convert your Ansmann charger to a desktop type. 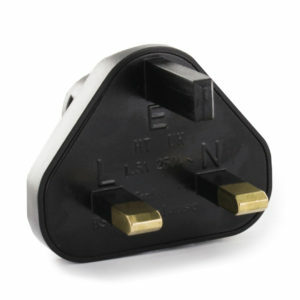 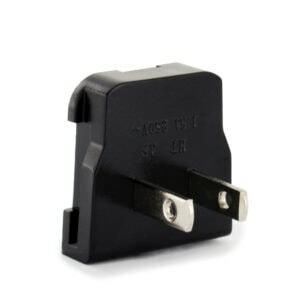 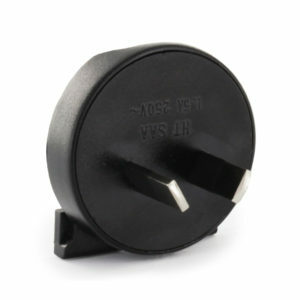 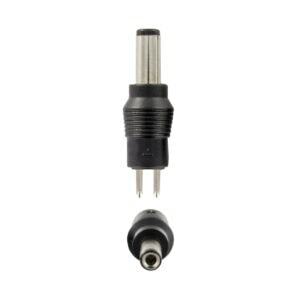 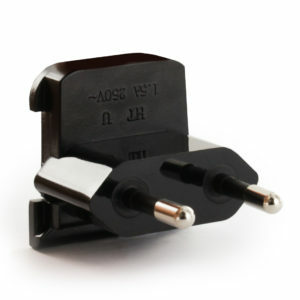 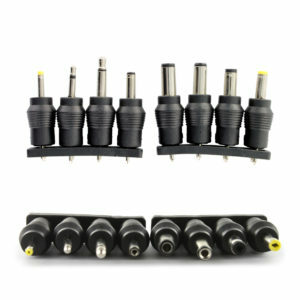 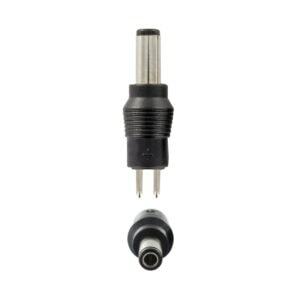 For output options simply choose the jack plugs you require, quick and simple.